Africa has long been renowned for its various different traditions, cultures, vibrancy and languages. 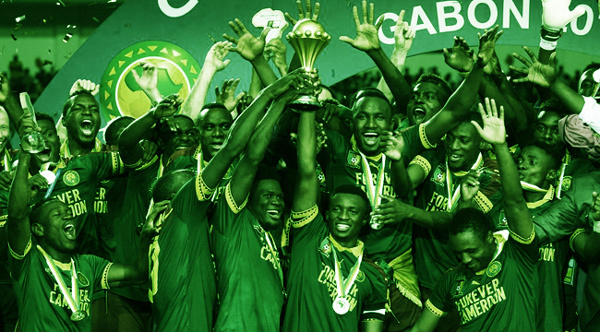 One of the continent’s most popular events is the Africa Cup of Nations biennial football tournament, with year’s event held in Gabon, a coastal country in central Africa. The football competition was another huge success, drawing the best African footballers from leagues all over the world. Africans love their football. From street football played by youngsters, to wearing the colors of their nation out on the field in tournaments such as this. 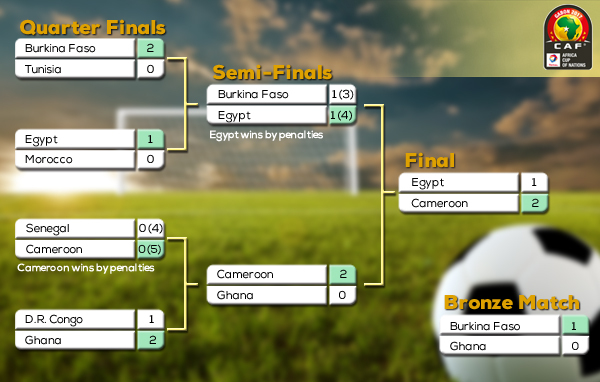 So how did the Africa Cup of Nations all begin? This tournament, officially known as CAN (that’s French: Coupe d’Afrique des Nations), is organized by the Confederation of African Football (CAF, for short). This was the 31st tournament and has a history that dates back to the very first competition, held in 1957. Back then, only 3 nations competed: Sudan, Egypt, and Ethiopia (South Africa were scheduled to participate but later excluded because of their government’s continuing policies of arpatheid). From then on, the tournament grew into 16 teams, with 4 groups of 4, then reduced to a “knockout”-based competition. Egypt is the most successful of all the African teams that qualify to compete, having won the cup a record 7 times. In 2013, the tournament’s year was changed so as to not clash with the FIFA World Cup. Nicknames are "The Panthers" or "The Brazilians"
And who could ever forget that celebratory goal dance by the legendary Roger Milla? Known as "The Eagles of Carthage"
Cameroon were the winners of the Africa Cup of Nations 2017 tournament, their 5th time as champions! So Why Was the 2017 Africa Cup of Nations Held in Gabon? Back in 2014, it was reported by Reuters that Libya, who had previously been awarded the right to host the football tournament, was stripped of its permission to do so. They were unable to host the tournament because of daily ongoing fighting, and the country’s inability to build the necessary tournament stadium. CAF had little option to invite new host invitations to all its member nations. Gabon was officially declared as hosts the following year, beating off other bids from Ghana and Algeria. Clearly, Africa is a huge continent, the 2nd largest in the world, comprising of a total of 54 recognized states (all member countries of the African Union - the A.U. ), 10 territories (who are governed or owned by non-African countries), and 2 “de facto” states (who are not recognized at all by the A.U.). 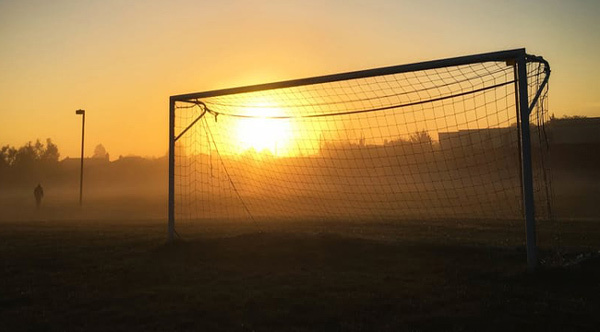 Therefore, the Africa Cup of Nations, due to its popularity - a total of 52 teams entered the competition for this year - first needs a qualification tournament. It is that tournament which finds the 16 to play in the Cup proper. Please refer back to the Group Stage part of this article for the full list of those who made it to the finals in Gabon. 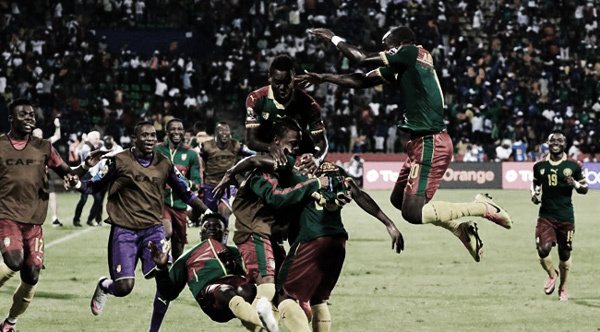 So, now it’s time for the best moments from this year’s Africa Cup of Nations. And what better place to start than this? The Best 10 Goals: Watch the goal celebrations and enjoy the very best goals from this year’s tournament. The Best Player: At the end of the tournament, a few other awards were handed out, as well as the trophy itself. Top Man of the Tournament went to Christian Bassogog, aged just 21. Currently playing for AaB in Denmark, the tricky winger will have no shortage of bigger clubs following his undoubted progress. Other awards included: Top Scorer, which was Junior Kabananga, scoring 3, and Egypt won the Fair Play prize (awarded to the team with the least number of red and yellow cards issued against them during the tournament). So Where Exactly Were Nigeria and South Africa? 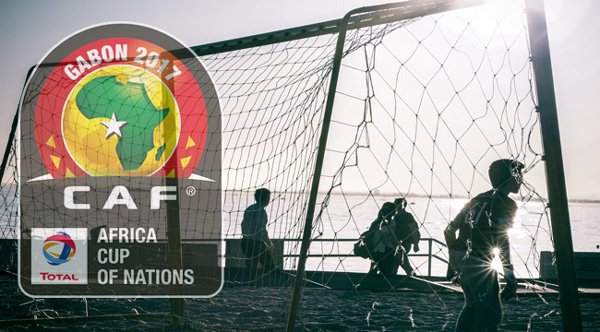 Hackers based in Russia, calling themselves the “New World Hackers” claimed responsibility for downing the official Africa Cup of Nations website (www.CAFonline.com) for several hours on Saturday, January 21st of this year. Apparently, this was their protest at allowing the tournament to be held in Gabon, a country they say is a dictatorship, run by President Obi Bongo Ondimba, following violent and rigged elections last year. 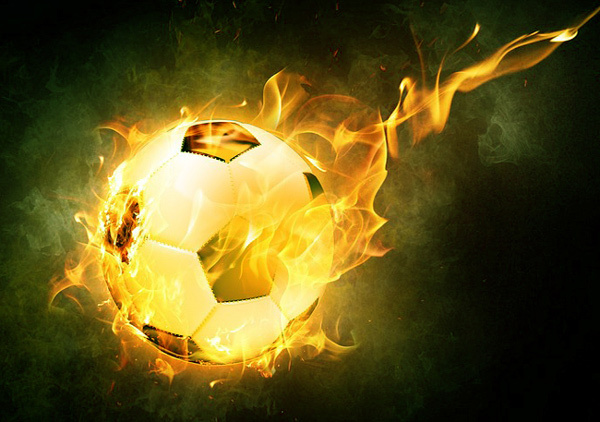 African football, because of the growing global popularity of the Africa Cup of Nations and some excellent team performances in recent FIFA World Cups, continues to go from strength to strength. This article has highlighted its origins, its growth, its undoubted display of talent, and the highlights of this year’s tournament. So what does the future hold? Personally, this writer is already looking forward to the next tournament, to be held in Cameroon (home country of the current title holders) in 2019. Africa’s rise in status as serious representatives in the next FIFA World Cup will also continue, no doubt. For sure, its future is vibrant as the continent is itself. If you have any personal comments or highlights from this year’s Africa Cup of Nations, please feel free to post a comment below. Oh, and don’t forget – you are never too old or too young for a “kickabout” with your friends and neighbours.